Bangkok tops the list as one of the world’s most-visited cities, with its gilded temples, vibrant nightlife and world-famous cuisine. And that dash of the exotic is complemented by affordability and modern comforts. In Bangkok, you can eat spicy Thai food from a street-side stall for a couple of bucks or take your pick from hundreds of upscale restaurants, offering multicourse meals that won’t break the bank. A taxi from one end of downtown to the other costs $5, and healthcare is affordable, too. Professional facilities, coupled with highly trained, English-speaking doctors, are the norm at the city’s top hospitals. Renting is the most popular housing option in Bangkok and the prices are very reasonable. 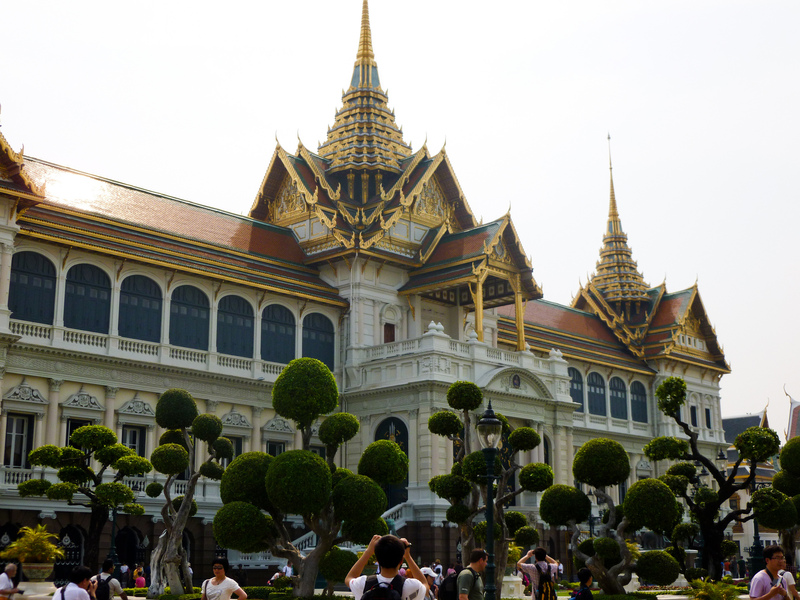 Factor in the exotic culture, year-round tropical weather and friendly smiles from the locals, as well as the Western conveniences for which the city is increasingly known, and it’s hard to beat Bangkok for its high quality of life. If you’re thinking about a move to Bangkok, whether part- or full-time, consider these neighbourhoods—some of the city’s best. Full of neon lights, ethnic restaurants, bars and street-side markets, it’s hard to imagine that the Sukhumvit Road area used to be nothing but rice paddies. That was before post-World War II development transformed it into the buzzing business district it is today. Running west to east in the heart of the city and beyond, Sukhumvit Road is one long artery, with side streets, called sois, running off it. For ease of reference and navigation, sois are numbered from west to east; odd-numbered streets are on the north side of the road and even-numbered streets on the south side. Lower Sukhumvit encompasses Soi 1 to Soi 24. As is common in Thai culture, the area is a study in contrasts…beer bars coexist next to upscale shopping centres, street-food vendors serve up noodles in front of high-end restaurants, and office workers navigate the streets alongside crowds of tourists. It’s the energy of the place, as well as access to everything from health clubs to nightclubs and supermarkets to medical clinics, which makes Lower Sukhumvit a popular choice for expat living. Asoke, near Sois 19 and 21, offers a range of properties for different budgets. It makes an ideal location, since Bangkok’s two main public-transport networks, the elevated BTS Skytrain and the underground MRT, intersect here in one station. The area around Soi 11 is another good bet. While Lower Sukhumvit is known for its frenzied atmosphere and late-night shenanigans, the Upper Sukhumvit area is a bit more “hi-so” as the Thais call it—that is, “high society”. You can still get your chicken satay from a corner-street food vendor, but be prepared to rub elbows with wealthy businessmen or their chauffeurs, who occasionally pull up to the kerb in shiny BMWs to grab some tasty takeaway. Trendy is the name of the game in Upper Sukhumvit, which runs from Soi 25 to Soi 63 and beyond, especially in the Thonglor area (Soi 55). Here, high-end restaurants and of-the-moment nightspots share real estate space with imported furniture shops, spas, office towers and apartment buildings. Renting in the Thonglor area will cost you, but the prices aren’t unreasonable. If you prefer something out of the fray, but you still want quick access to downtown and all it offers, consider the hip Ari neighbourhood, just 10 minutes north of the city via the Sukhumvit Skytrain line. Home to young Thai office workers and a growing community of expats, here you can walk tree-lined streets (a rarity in Bangkok) and choose from a variety of coffee shops, small cafés and trendy restaurants on the side streets off Phaholyothin Road. Salt, for example, is a stylish, glass-walled dining spot serving up French, Japanese and wood-fired pizzas. You’ll also find boutiques, Western supermarkets and a number of housing options. Prices are rising as the popularity of the area takes hold, especially close to the Skytrain station. Two Skytrain stops south of Ari, the Victory Monument area has an edgy, youthful vibe and is a hub for the city’s public transport system. Flanked by a giant obelisk-shaped monument built in 1941 to commemorate Thailand’s victory in the Franco-Thai War, this area is popular with local university students and extended-stay backpackers. You’ll find plenty of cinemas, dining spots, an array of street food, and outdoor markets selling bags, clothing, shoes—you name it. There’s even a popular live-music venue, Saxophone, where you can enjoy jazz and blues on most nights of the week. Located between the Chao Phraya River and Lumpini—downtown Bangkok’s largest park—the parallel-running Silom and Sathorn Roads form Bangkok’s oldest and largest commercial district. It’s full of office towers, hotels and lots of nightlife options. Because the area is near the river, you’ll find a mix of old Thai neighbourhoods as well as new, modern apartments. Here you can live in a low-rise apartment on a small, quiet lane but get to the supermarket or your favourite watering-hole within minutes. On Soi Convent, which runs between Silom to the north and Sathorn to the south, choose from Mexican, French or Indian cuisine, or have a few pints at the local Irish pub. Just around the corner at the luxury Sukhothai Hotel, you can splurge on high tea and a chocolate “buffet” on weekend afternoons. And when you’re ready to work off all that indulging, head to lush Lumpini Park, at the neighbourhood’s eastern border, and join scores of Thais and expats working up a sweat. Nonthaburi, the place my family and I call home, is a suburban area about 30 kilometres northwest of Bangkok proper, near the Chao Phraya River. With less hustle and bustle than the city, and plenty of markets, coffee shops and restaurants, including charming riverside-dining options, Nonthaburi boasts the best of both worlds. The area around Chaenwattana Road serves as a major hub for expat living, as well as for a growing Thai middle class. Here you’ll find Western grocery stores, a top international school, a modern shopping centre with well-known brands, and access to services, including a newly-opened medical care facility with English-speaking doctors and international standards. For the quintessential suburban experience, many expat families, as well as middle- and upper-class Thais, choose the Minburi/ Bangkapi area northeast of Bangkok. It offers wide-open spaces, a mix of shopping and dining options, and a multitude of housing estates featuring spacious, detached homes with gardens. In minutes, you can get to Suvarnabhumi, the city’s international airport. And although, like Nonthaburi, the area is not yet linked to existing public-transportation options, plans are afoot for a monorail service connecting Minburi to the northwestern suburbs.